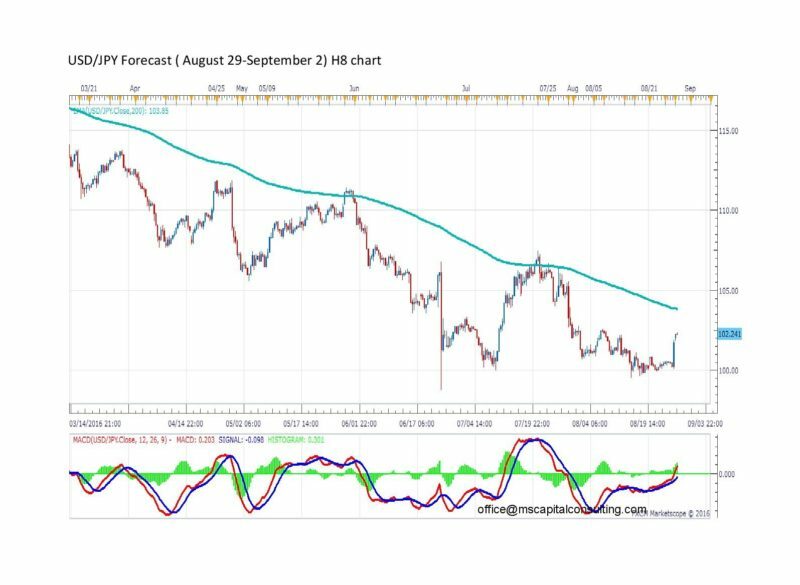 The USD/JPY currency pair may rise in the medium long term, according to the daily chart. The MACD and the stochastic oscillator indicate an uptrend for this pair. A first target is Fibo 0.23 (104.73). If the price reaches this target, this means that it will hit EMA 50 on the daily chart. The next target in the medium long term may be Fibo 0.38 (108.34). 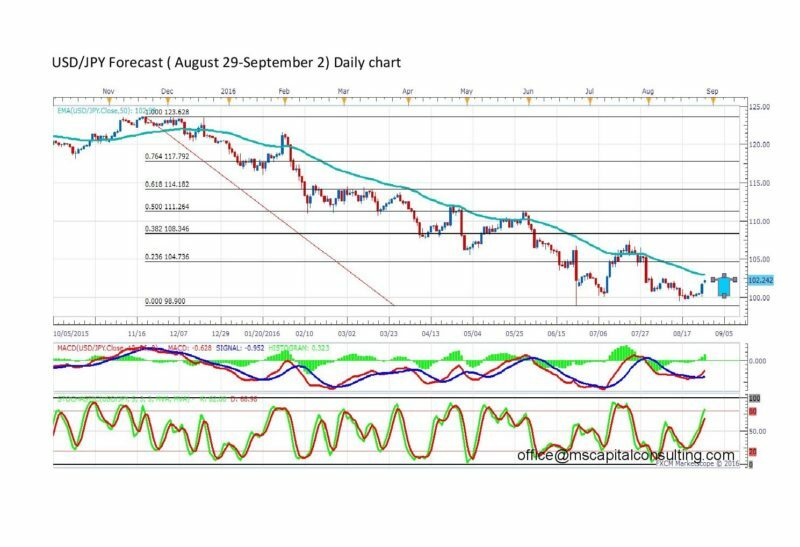 The MACD on the 8 hour chart shows that this currency pair will rise in the medium term. If the price reaches EMA 200 (103.85), this will be a clear confirmation of an uptrend.